Another holiday season has come and gone. Now we get ready to slog through January. Fortunately, holiday lights still shine all over Westport. And none are brighter — or more beloved than the William F. Cribari Bridge. We don’t know what its future holds. 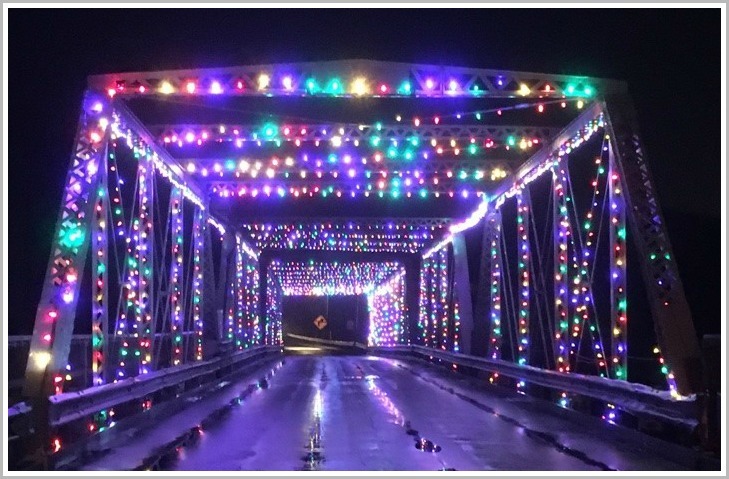 But this year — as it has for the past decade or so — the Saugatuck River span sparkles each night. It’s beautiful, peaceful and heart-warming. It doesn’t just happen. The Cribari Bridge lights are a gift of Al’s Angels. And that organization is a true gift to the town. Created and nurtured by Al DiGuido, his wife Chris and friends, Al’s Angels helps children who battle cancer and rare blood diseases. As their families face severe financial hardship, the Angels help. They do it quietly and efficiently — and big time. This year alone, they provided over 3,200 holiday meals, and 15,000 toys. It’s a labor of love for Al and his angels. Many Westporters pitch in, with money and time. They pack meal bins and wrap toys. And they string those lights. The twinkling Cribari bridge brings joy to all who cross it. But, Al says, it’s also a symbol that we all are called to be a “light” in the world of others. This week, Al’s Angels are our Unsung Heroes. They truly light up our lives. And Here Is Our 2nd Holiday Gift! Early this morning, “06880” gave readers a special gift: a link to Staples High School’s magical Candlelight Concert. But you deserve more than one present. Here’s another. Rhea Ruggiero moved from New York to Westport 15 years ago. She quickly fell in love with the town. 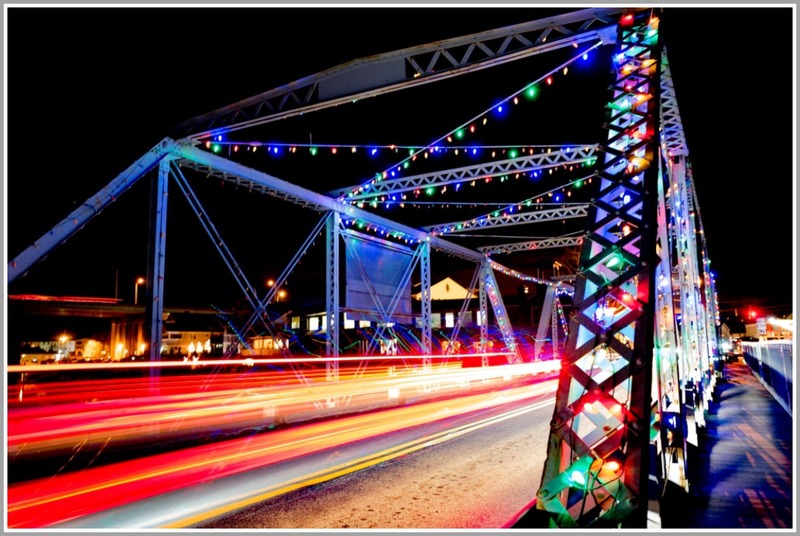 One of the best parts is the Cribari Bridge at Christmas. When she comes home late at night and the lights are up, she is sometimes so overwhelmed she turns around and drives through a 2nd time. 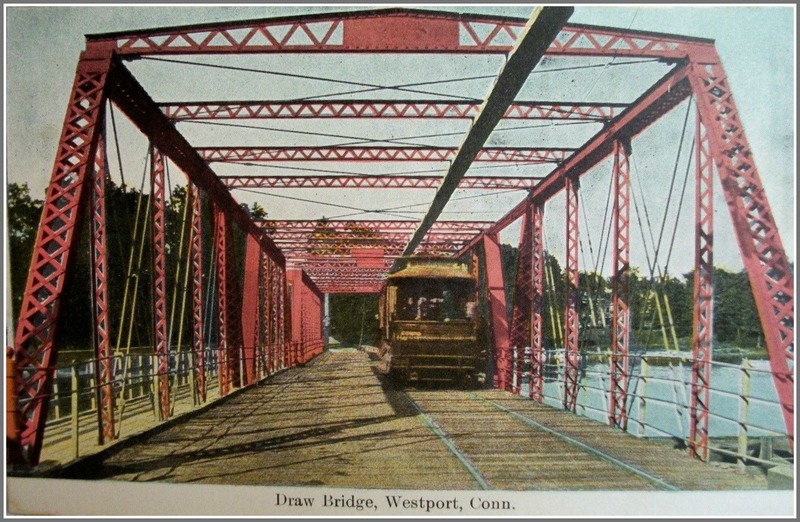 The bridge is “an example of Westport is: a spirited community that celebrates life,” Rhea says. 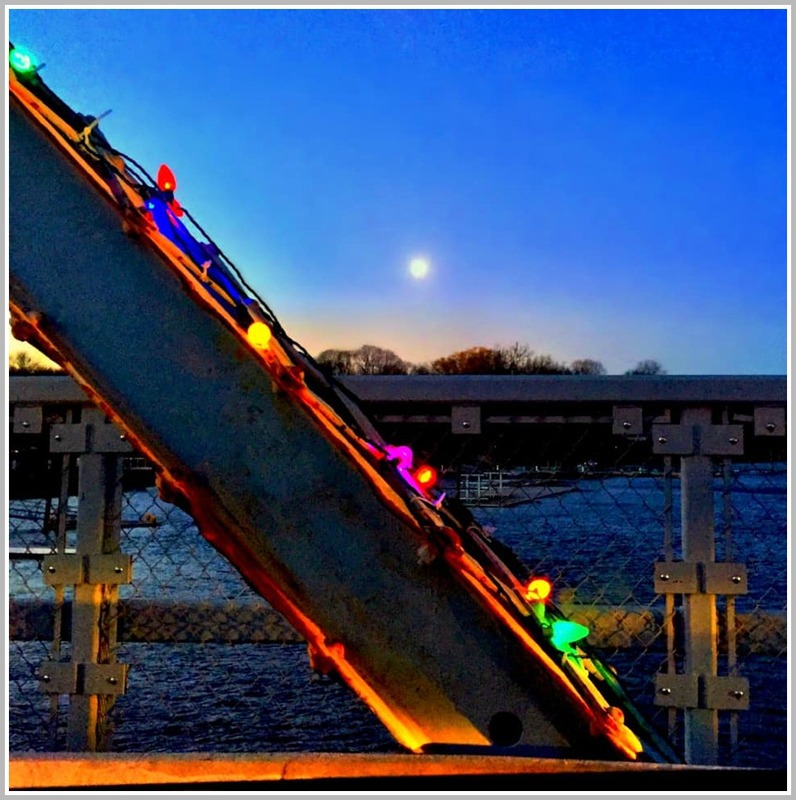 To thank the volunteers from Al’s Angels — who put up and maintain the lights — as well as share the joy she gets from the Saugatuck River span, Rhea made a video. It’s Westport at its best. And its her — and “06880”‘s — mid-morning gift to all. Mark Kramer spent 3 decades as a writer-in residence at Smith College, Boston University and Harvard’s Nieman Foundation. He also enjoyed a storied career as a book and magazine writer, editor, speaker and consultant. I fished from that bridge in the 1950s. I loved watching the crew of volunteers (including John Santella from his dad’s barber shop), Paul Nette from Bridge Garage, and a few firemen from the nearly adjacent firehouse answer the call to pivot it open. They appeared with a giant wrench — a waist-high T of iron, shaped like 3-pins of the traditional lug wrench that came in auto tool kits. They stuck the socket into an embedded peg in the center of the bridge, and leaned into the crosspieces of the wrench. 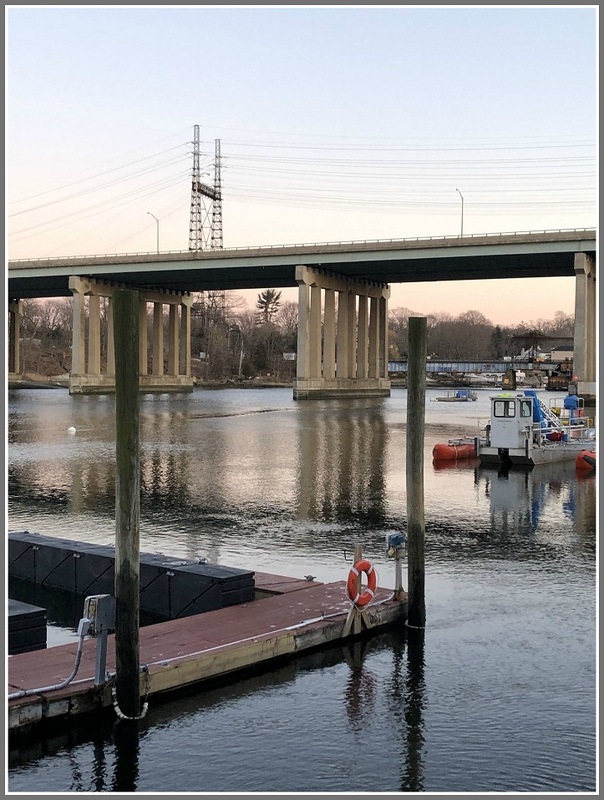 Slowly the massive bridge swung parallel to the river, a sailboat or two passed under, they swung it closed again and walked back to work. 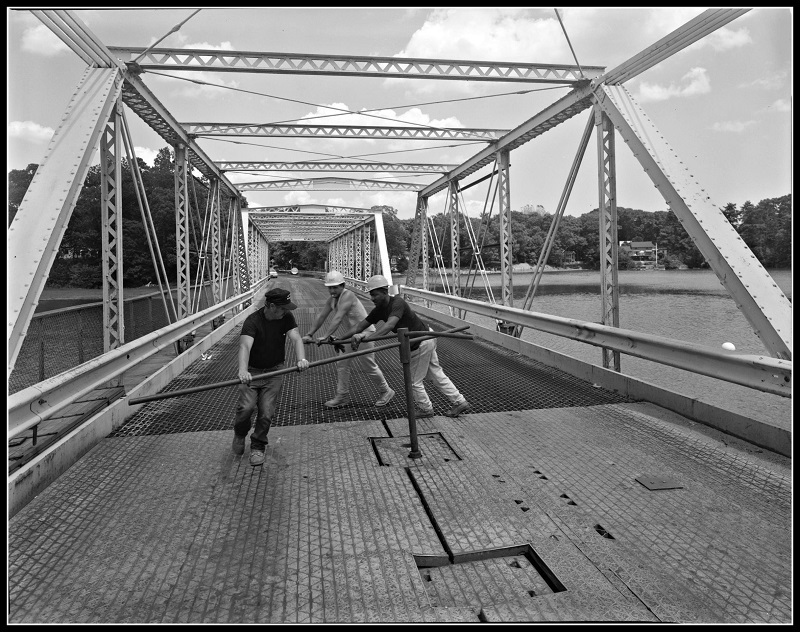 Hand cranking the “Bridge Street Bridge,” back in the day. People crossed the walkway for the pleasure of the view from midstream. They probably still do. 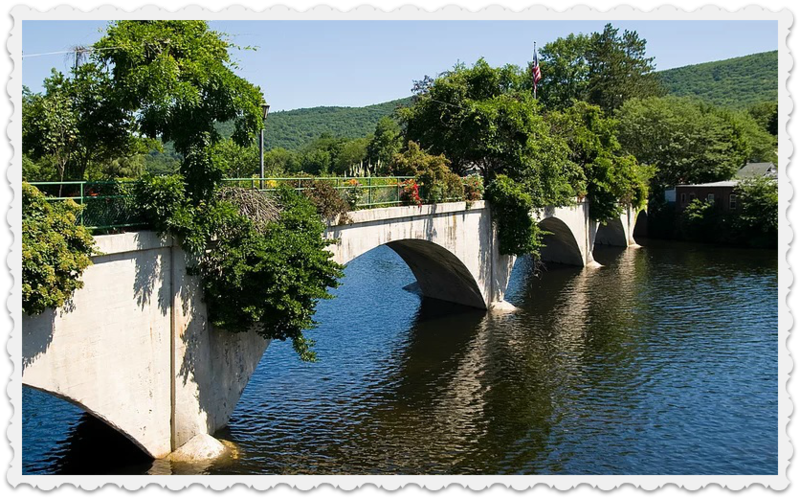 There’s an example of bridge preservation, connecting the twin towns of Shelburne Falls and Buckland, Massachusetts — not far from Smith College — that might be a feasible way for Saugatuck to go. 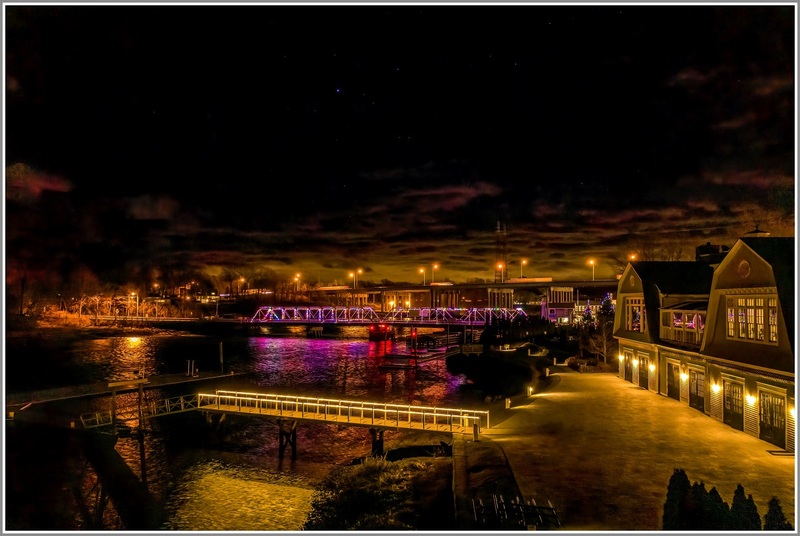 The “Bridge of Flowers” has had a big part in invigorating the commercial life of the twin towns, which has seen craft workshops and good restaurants come, along with scads of tourists on weekends. After the local trolley quit, its bridge was long neglected. Then a local committee, led by a visionary real estate woman, raised some minimal funds, turned out lots of volunteer help, and turned it into a 3-season amazement, a walkers’ bridge bulging with horticultural wonders. Now active committees, and perhaps a paid employee or two, keep flowers planted and flowing. It is a community-binding wonder, defying time and making folks happy. Meanwhile, a new bridge across the Deerfield serves traffic a few hundred yards upstream. I lived a town away for years, and my perspective on the Bridge of Flowers shifted. At first it was a great place to bring the in-laws. But then I aged enough so the neighborly generosity that made it happen came into view. The visitors’ book at the Buckland end of the bridge fills daily with thanks from people who drive there, and walk the bridge. Many stop for lunch or supper, and browse the shops selling ice cream, used books, ceramics and paintings — a good sort of tourism to draw. Mark hopes Westporters will look into the idea of a Bridge of Flowers — with a new bridge built nearby. Click here for the Bridge of Flowers website. For more information and personal insights, email Mark directly: kramernarrative@gmail.com. Westporters may be in the dark about the future of the William F. Cribari Bridge. But during the holiday season, the historic span glows with festive lights. 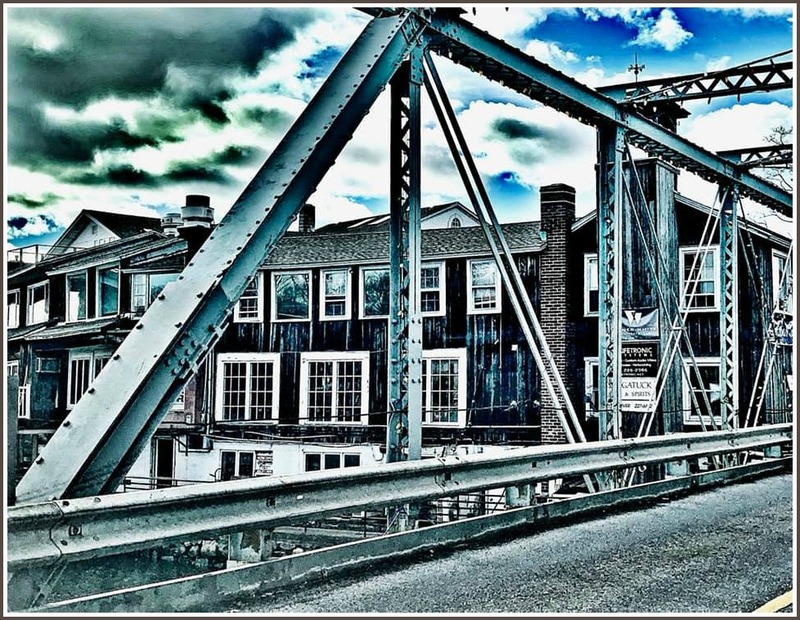 Driving across the Saugatuck River — surrounded by colors — is one of our town’s magical moments. It doesn’t just happen, though. The lights need maintenance. In the past year, they suffered severe damage. Thankfully, Al’s Angels — the volunteer organization that does so much for needy kids and families — is on the case. This Saturday night (December 1), they’ll replace the lights. Work begins at 11 p.m. They need 24 volunteers. They ask helpers to bring their own 10-foot ladder or bucket truck. And cutting pliers. It’s a big job. The trees and walkway side of the bridge will be decorated first. At 2 a.m. Sunday they’ll work overhead, then finish on the other side. Al’s Angels supplies all the lights and snap ties. 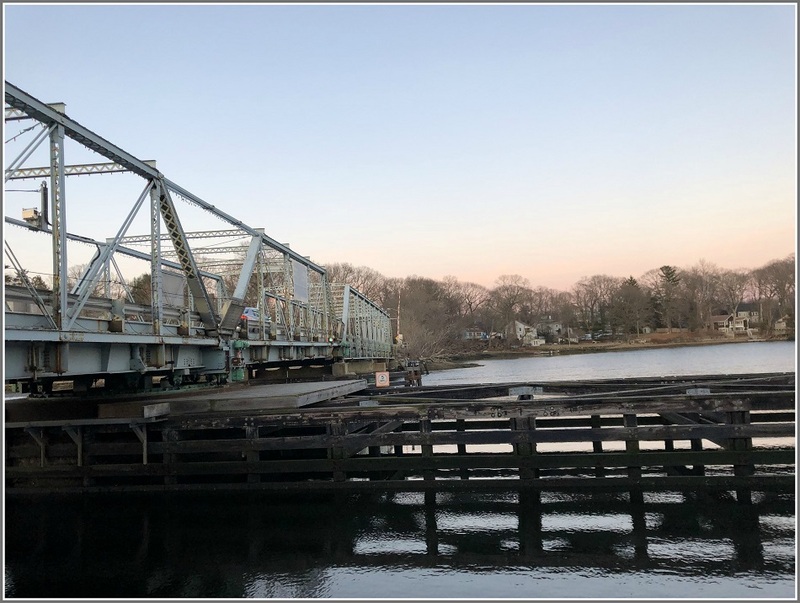 They just need folks who want to keep Westport’s bridge tradition alive — and are willing to work. If you’re in, email adiguido@yahoo.com.